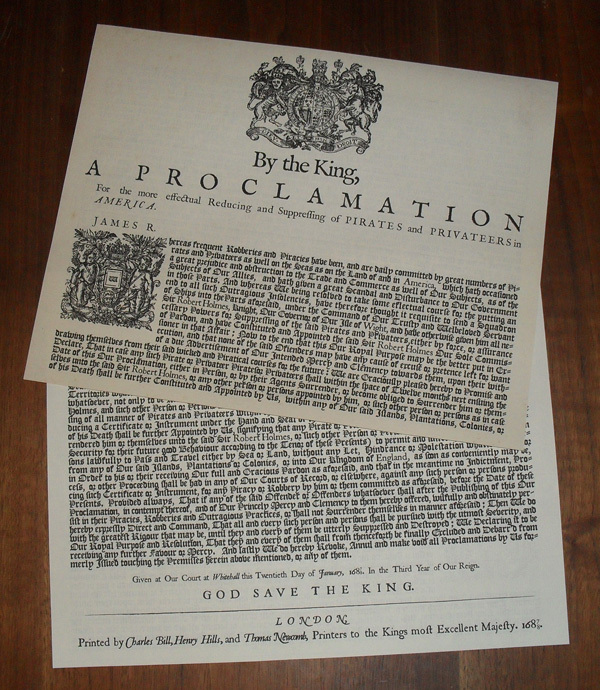 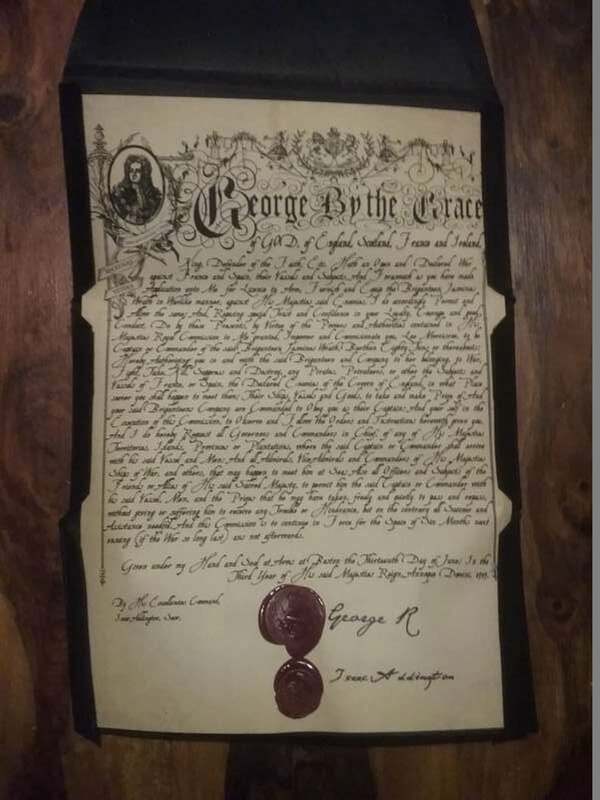 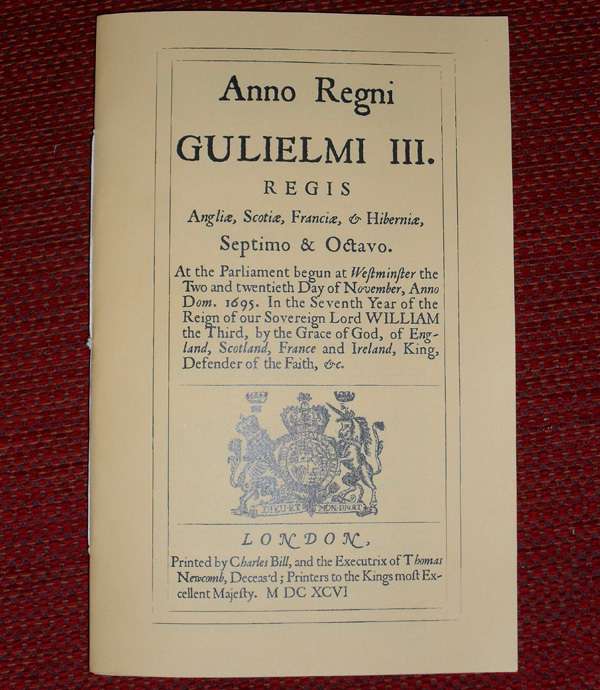 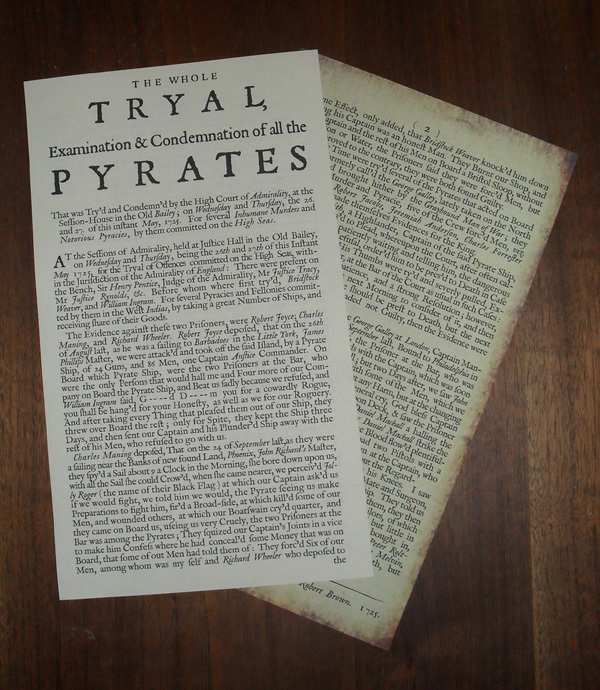 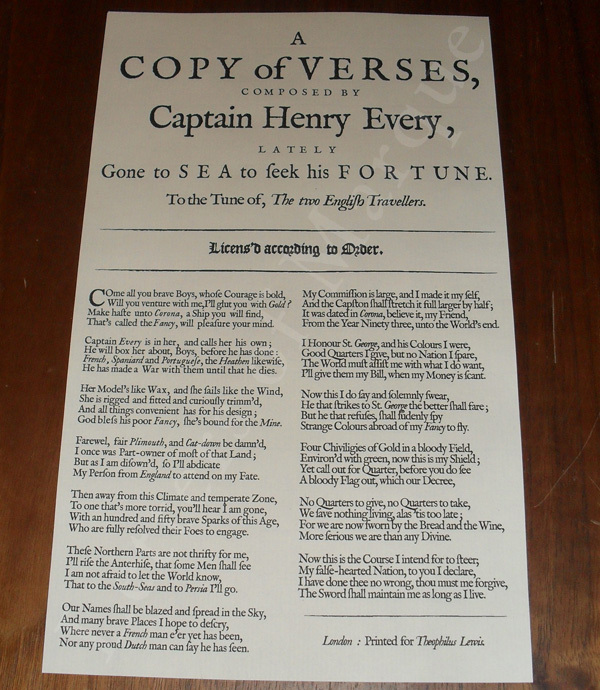 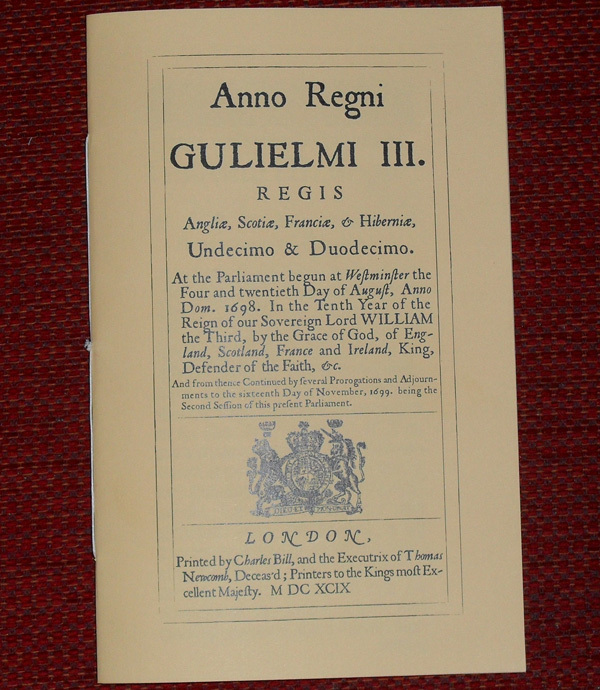 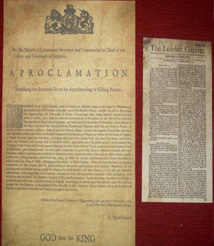 This is a Replica of King William III 1698 Proclamation announcing that a squadron of men o war have been assembled to fight Piracy in the East Indies. 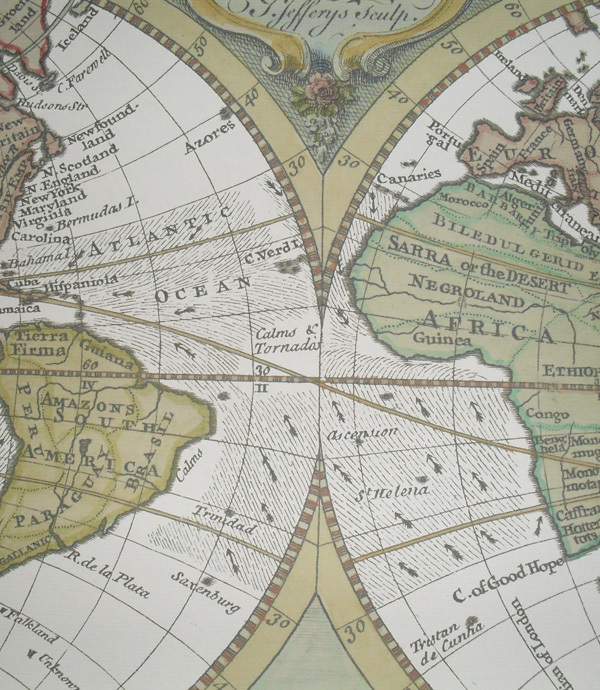 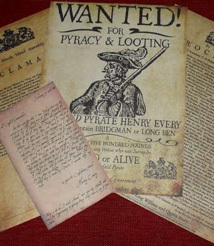 This act was to suppress piracy in the East Indies by allowing Pirates to surrender themselves to any agents of the government and receive a full pardon of their crimes. 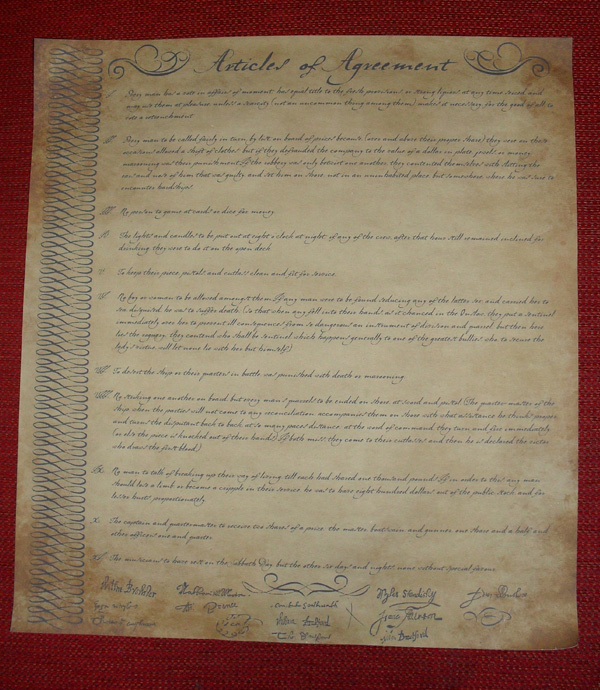 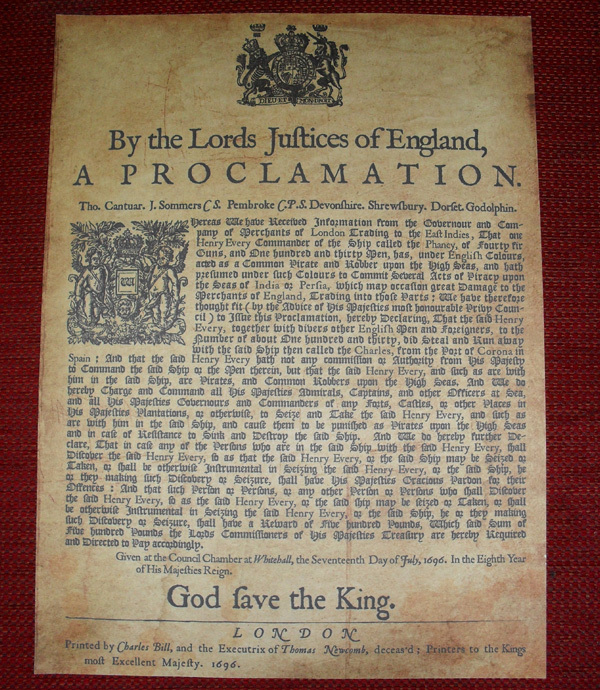 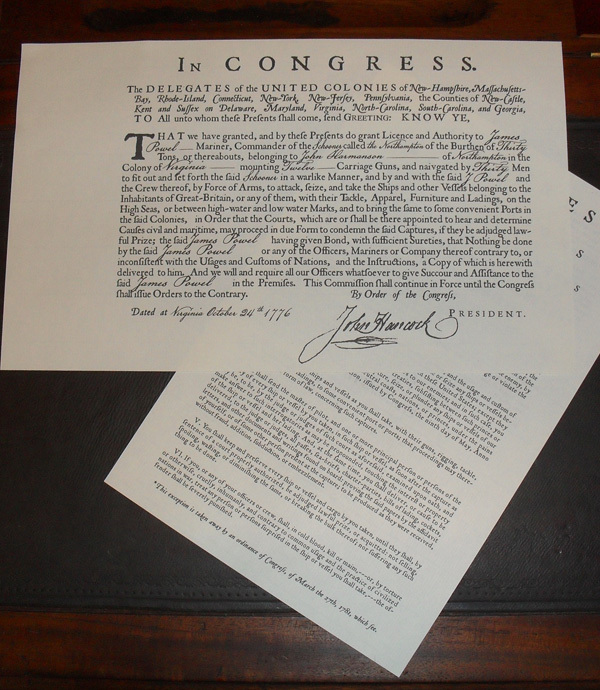 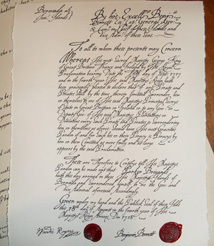 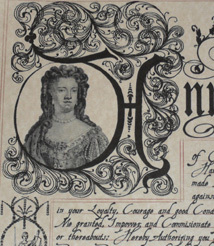 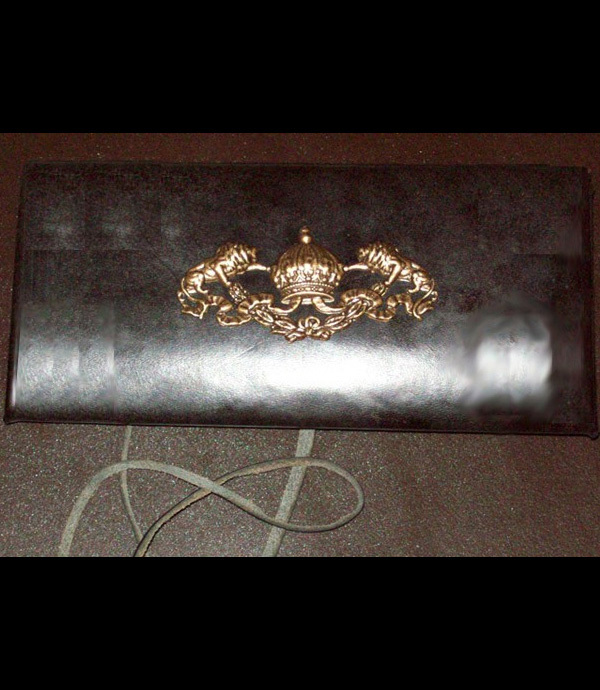 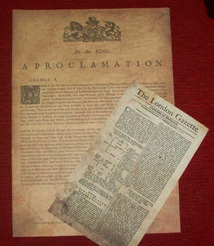 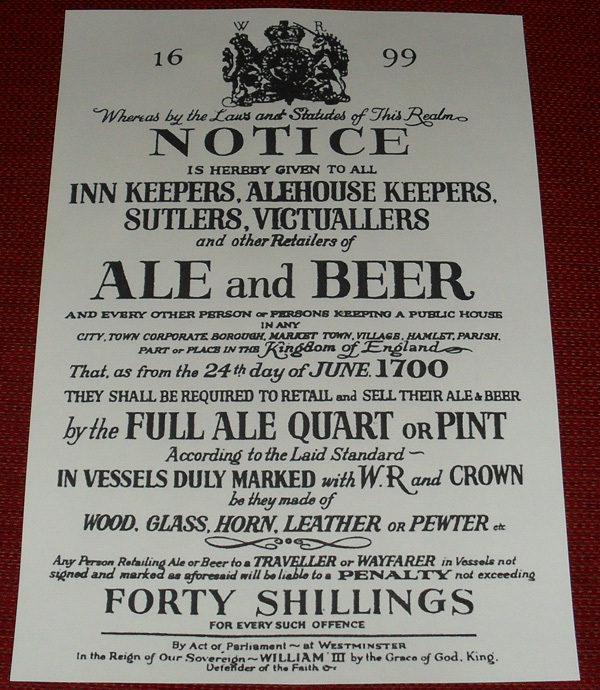 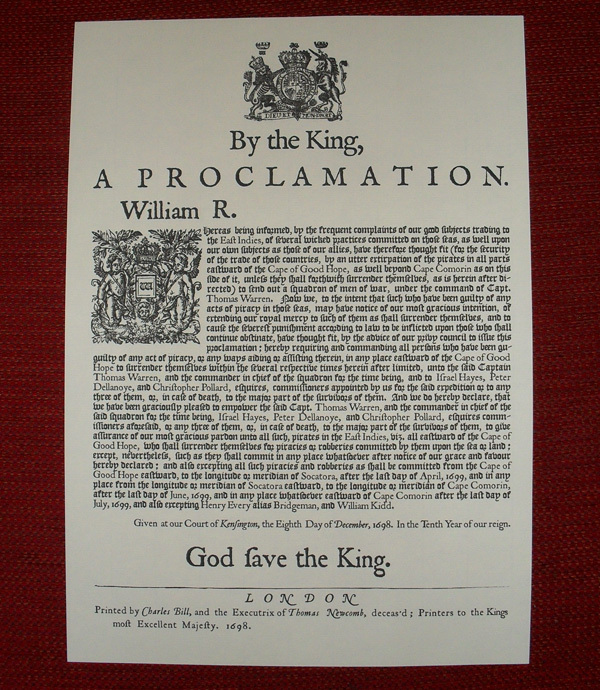 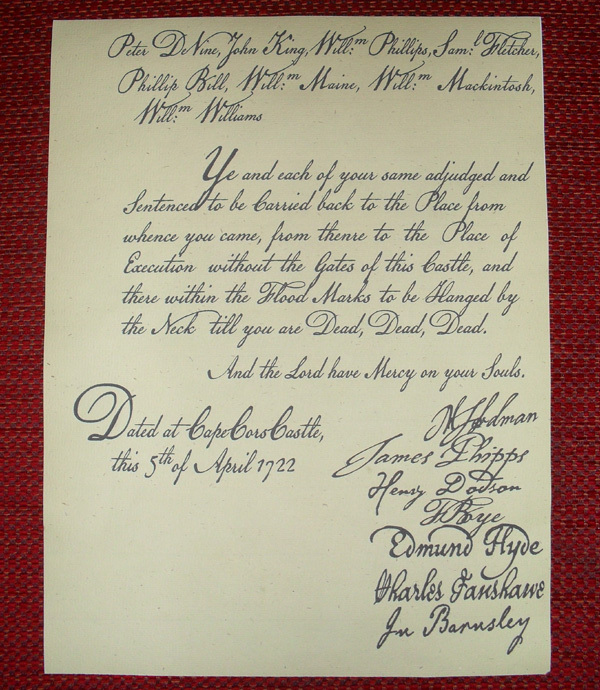 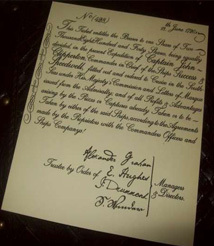 The Proclamation is approximately 12"x17" and is printed on period correct laid paper.